we cater specifically to your needs. 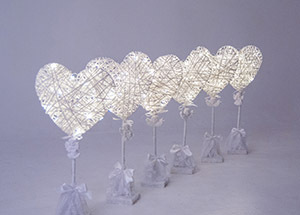 LED Up lighting will add a magical touch to your venue or marquee. So no matter how intoxicating your colour theme might be, we will be able to cater for it. 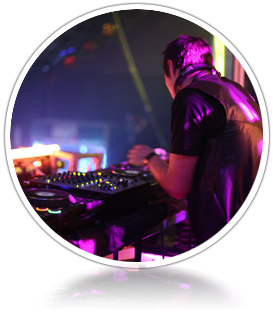 We have over 20 years experience within our DJ’s and only provide versatile DJ’s with excellent credentials and experience. 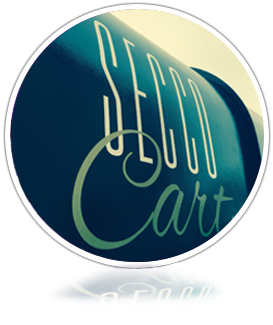 Add something extra special to your occasion by hiring our fully licensed, uniquely converted Mobile Prosecco Bar. We are a specialist DJ and lighting company that can cater for all your needs, from that special wedding or birthday to corporate and karaoke events. 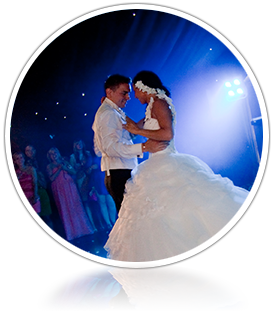 We have over 20 years experience within our DJ’s and only provide versatile DJ’s with excellent credentials and experience. As each event is unique to you we will tailor the DJ specifically to your requirements. We never forget that it’s your day so the music really is up to you, it’s your event and we are here to entertain you and your guests. If you want elegant and romantic, we can do that. If you want flash and funky, we can do that too! Nothing is left to chance. When all the decisions have been made, you can look forward to enjoying your reception while we take care of all the details as we are well experienced in these major events and know firsthand how stressful it can be. Our LED lights are child friendly and can be left on all day as they don't get hot, so they won’t burn you if you touch them! This makes them very unique. 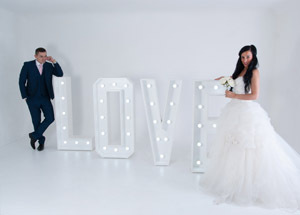 They also consume very little power, which makes them an ideal and affordable option for your special day. If you consider yourself a bit of an X Factor star or just want to have a laugh with your friends or guests then let us know and we can provide a Karaoke set up with thousands of songs from the 50’s up to the latest chart music. Even if you’re not using our DJ services, our LED lighting system can be hired for your wedding or event, either with, or without an operator. We can offer a PA sound system for day time speeches and radio microphones to give you professional “lead free” freedom. Hi Guy’s, i just wanted to drop you an email to say thank you and applaud you on doing such an amazing job at my daughters wedding. She had the day of her life and has said her favourite part was the evening reception. I have had lots of people ask where i found you so i have passed on your details to them. I will be recommending you indefinitely and will no doubt use you again in the future. Once again many thanks. Dear Craig and Kurt, we wanted to personally thank you for the help you gave us leading upto our wedding and making the day magical. The DJ was absolutely brilliant and really got everyone going. Everyone at the wedding commented on the lighting so don’t be surprised if you get a few extra bookings from them. We’ll be keeping your card and definatelly using you again. Not Just a DJ, thanks for your help and professionalism at the easter event. Everybody loved it and we raised alot of money for the charity. The lights really made a difference! Once again many thanks. Not Just a DJ © 2014. All rights reserved.